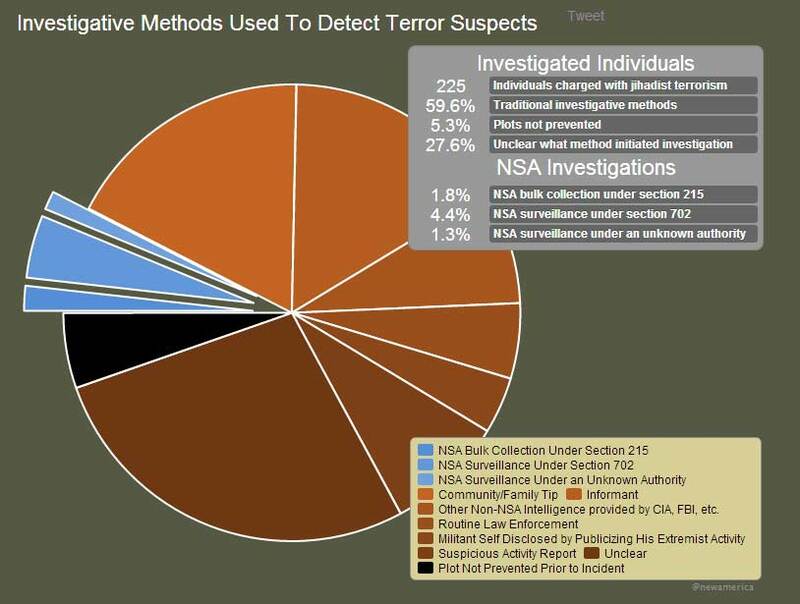 aGupieWare: ACLU: None Of NSA's Phone Surveillance Stopped "A Single Terrorist Attack"
ACLU: None Of NSA's Phone Surveillance Stopped "A Single Terrorist Attack"
It's not particularly surprising that the overabundant, smothering version of surveillance the NSA practices has not yielded any quantifiable results proving its worth. What is surprising is national intelligence director James Clapper's insistence that the programs be continued, despite their flagrant failure. Proven ineffective by both the president's own review as well as a report by the Privacy and Civil Liberties Oversight Board, in ten years the program has never once substantially aided a counterterrorist investigation, identified a terrorist suspect, or silenced a single terrorist act. That small slice of phone-detection data then proved useless. Good job, NSA. None of this matters to Clapper, who maintains that, "If that tool is taken away from us... and some untoward incident happens that could have been thwarted if we had had it, I hope that everyone involved in that decision assumes the responsibility." Uh, ok. Because apparently if you can't keep us safe using means that don't infringe on the privacy of millions of citizens worldwide, it's somehow the victims' fault. Really nice sentiment there, Claptrap. Clapper was given the job of keeping the NSA "transparent." In under three months, Section 215 of the Patriot Act will expire, and will hopefully take its massive governmental surveillance initiatives with it when it goes. However, should Congress decide to extend the life of Section 215 (possibly at the bleating behest of the intelligence community), we'll still be as bugged as ever, and for no good reason. At a time when Clapper claims, “we have been beset by more crises and challenges around the world”, maybe it'd be a good idea to keep things a little less hotheaded on the homefront until it's proven they're an improvement. Big Brother needs a time-out...permanently.